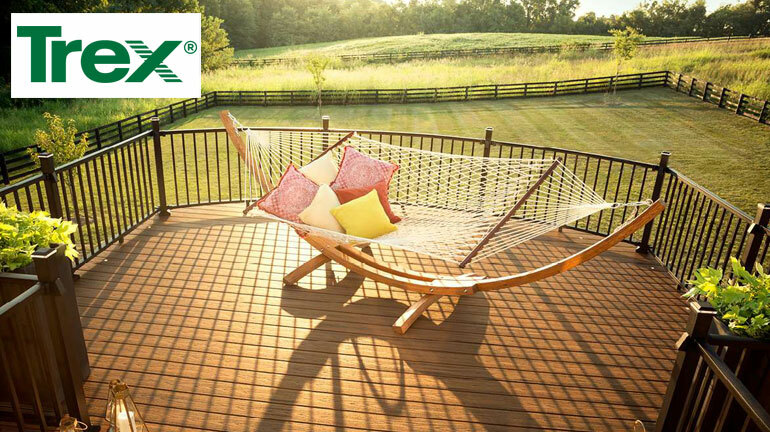 Trex, the world’s largest manufacturer of eco-friendly deck building supplies, blends skill and durability into every product. 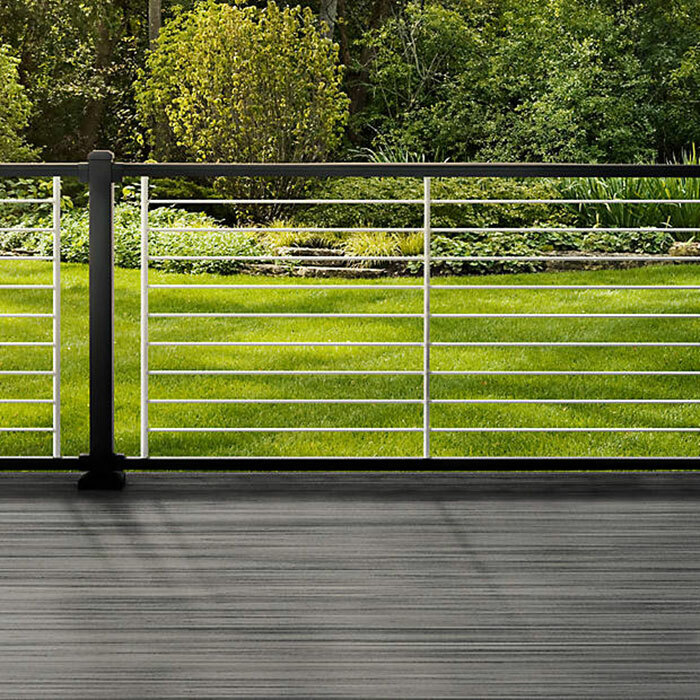 Founded in 1996, Trex creates low-maintenance, high-performance items perfect for your outdoor space. 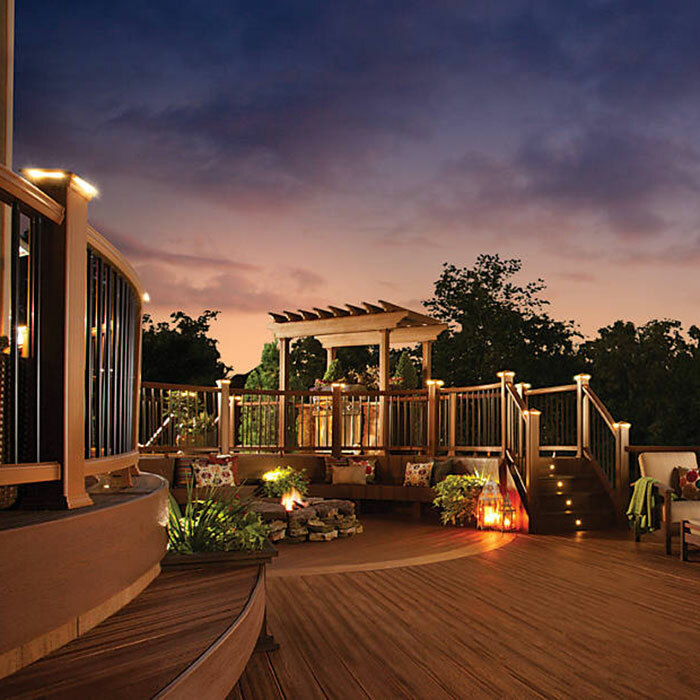 Decks Direct is proud to offer a wide range of Trex lighting, railing systems, hardware, drainage, and framing to help your deck be the best it can be. In stock and ready to ship today. 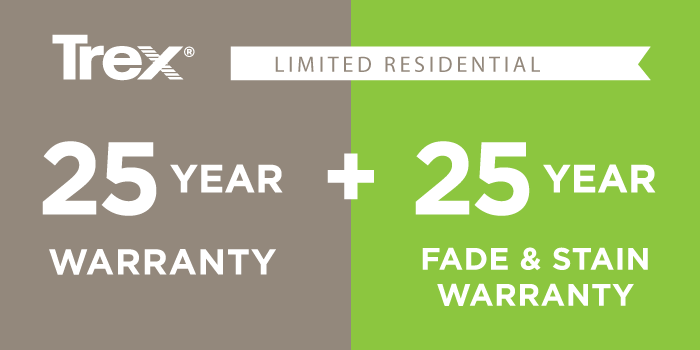 Trex stands behind their products with an industry-leading 25-year limited residential warranty. Trex is termite, mold, fade, and stain resistant. Not only will Trex last; it will stay looking great. 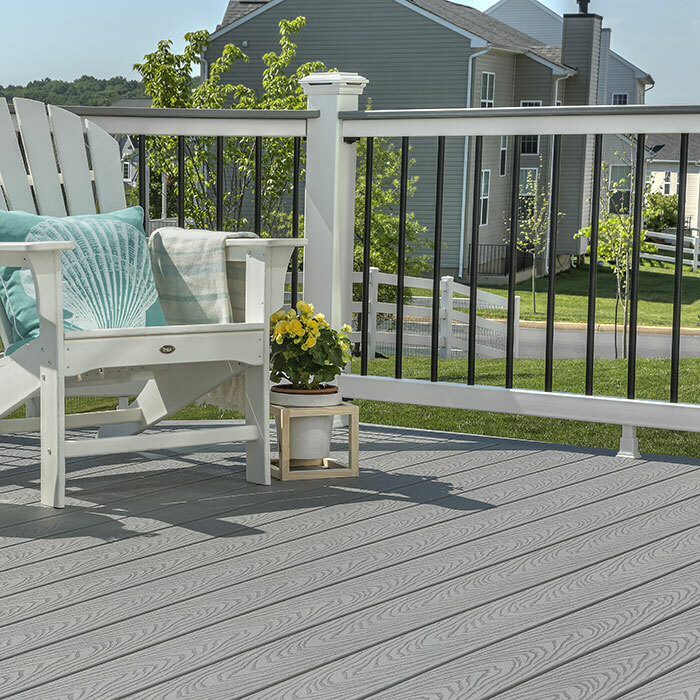 Trex Composite is made from a blend of 95% recycled wood and plastic materials. 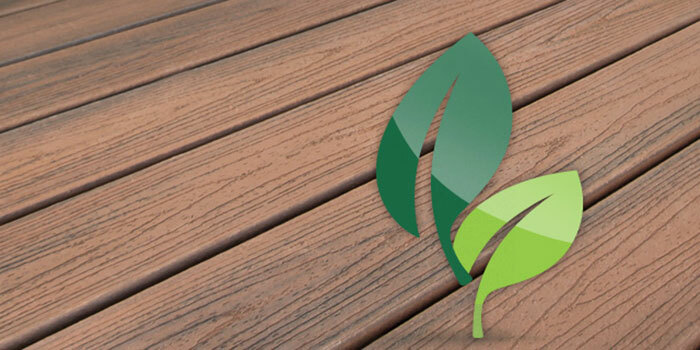 Reclaimed wood and sawdust means not sacrificing a tree for your deck, while recycled plastic means keeping it out of landfills. 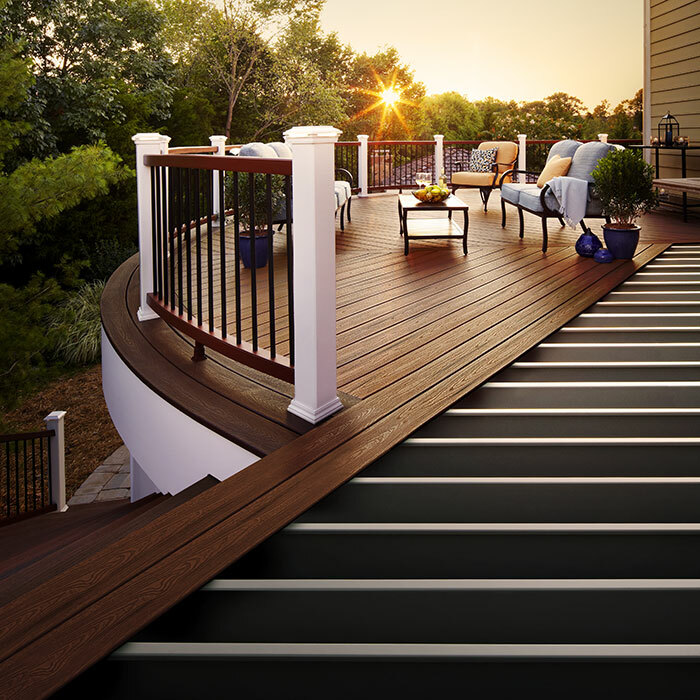 Trex has been an innovator in the decking industry for over two decades. 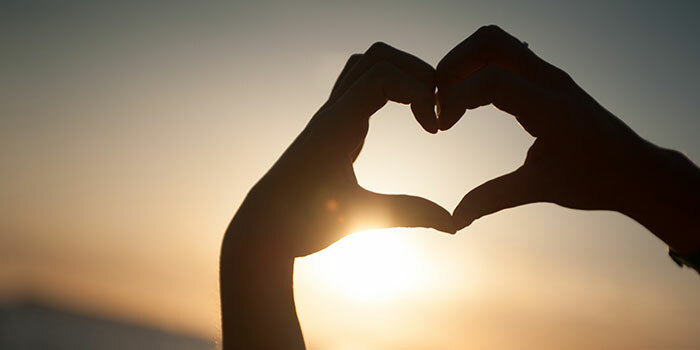 The quality, beauty, and minimal maintenance of their products has won over customers’ trust worldwide. 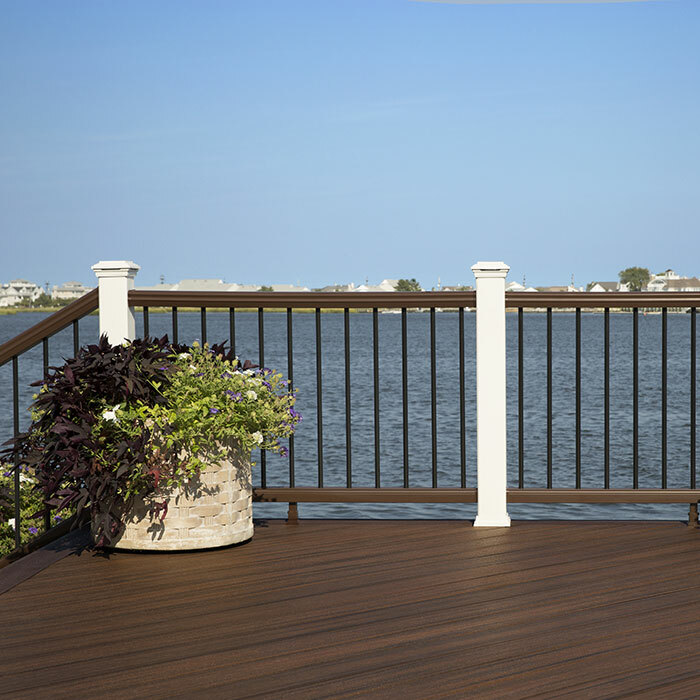 With Classic White rails and round black balusters, this system creates a hassle-free custom look for your deck. 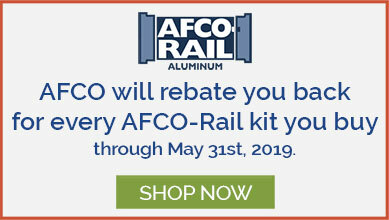 This aluminum railing is available in kits or pre-welded panels for quick installation. Coordinates perfectly with Trex Lighting. 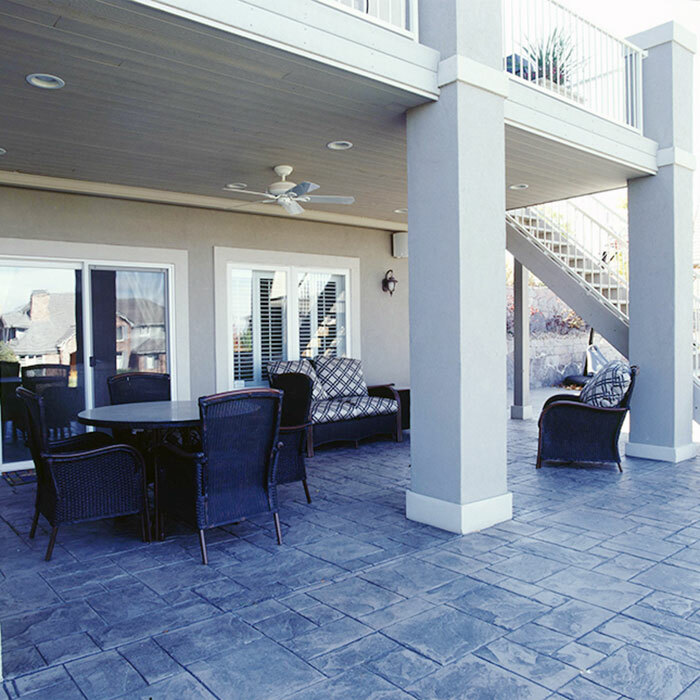 This low-maintenance composite system is available in a variety of colors with several infill options. 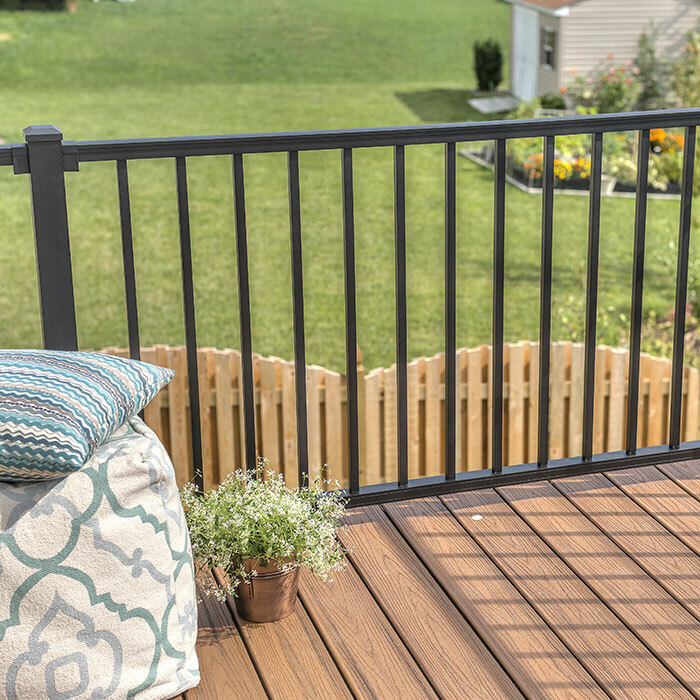 Meshing the low-maintenance Transcend composite railing with the rustic look of Wild Hog hog-rail, to create a unique look. Trex Outdoor Lighting features energy efficient LEDs to pair perfectly with your Trex Composite or Aluminum Railing. Protect the floor joists of your elevated deck and keeps the patio area beneath dry with this innovative deck drainage product . Trex's steel framing system is precision-engineered to outperform and outlast traditional lumber framing. 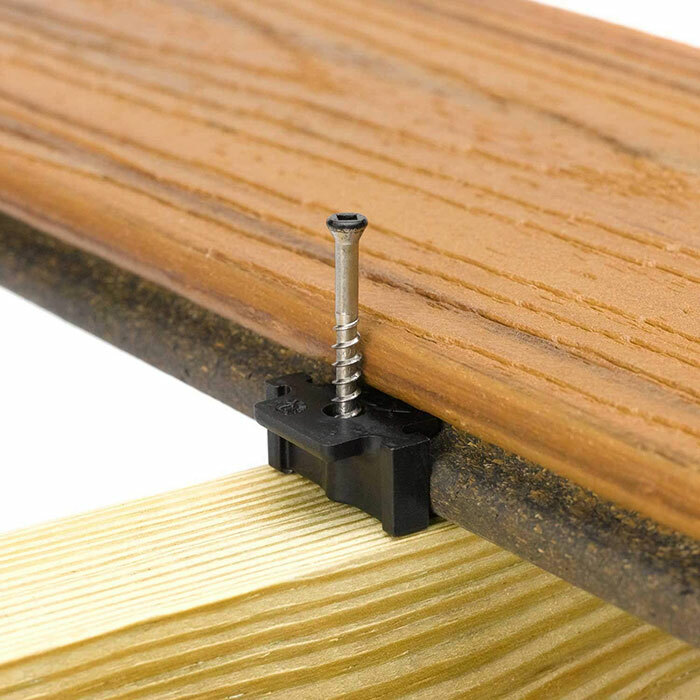 Upgrade from a traditional face-mount screw to Trex Hidden Fasteners for Trex grooved and non-grooved composite deck boards. 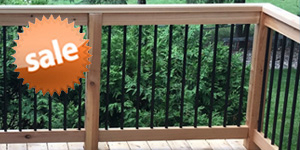 A modern twist on aluminum deck railing, Trex Signature Rod Rail comes in several rail and infill finish combinations. 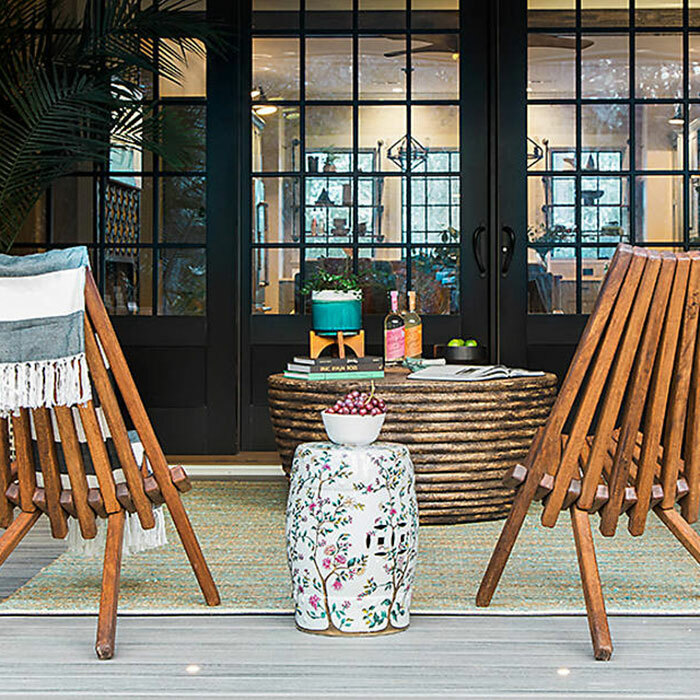 Get inspired by the 2018 HGTV Dreamhome featuring Trex Decking and Trex Deck Lighting. 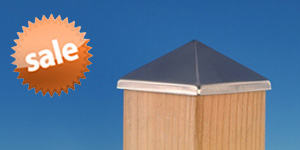 Trex products are a top seller and one of our customer favorites. 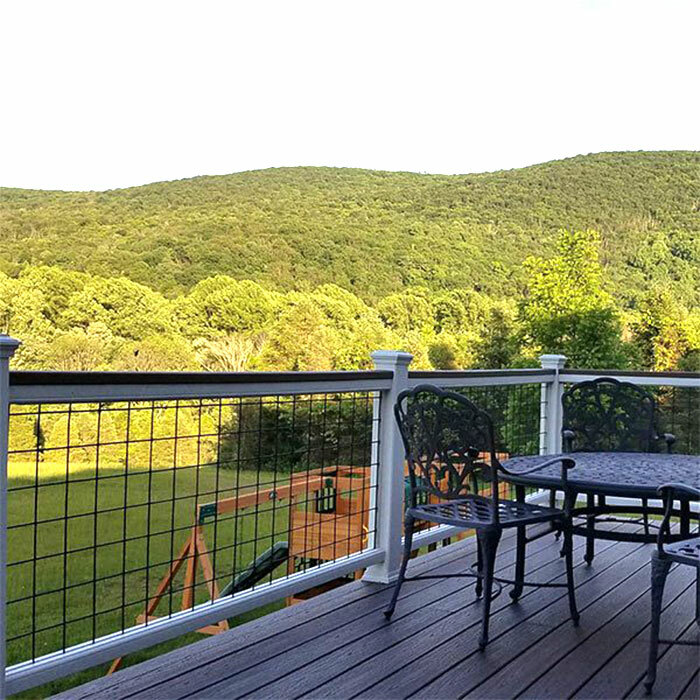 Check out our latest customer photos of their lighting, railing systems, hardware, and drainage projects featuring Trex products. Click on each photo to view a larger version and read what past customers have to say about their experience with Trex products.